View cart “Liberalism: The Ideas that built the Liberal Democrats” has been added to your cart. 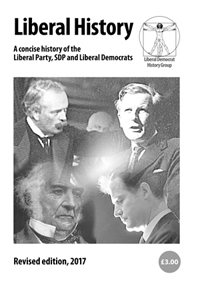 The most comprehensive and up-to-date history of the Liberal Party, SDP and Liberal Democrats. Written by academics and experts, drawing on the most recent research, Peace, Reform and Liberation is the most comprehensive and most up-to-date guide to the story of those who called themselves Liberals, what inspired them and what they achieved over the last 300 years and more. 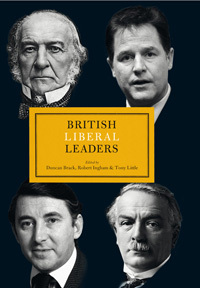 An essential source for anyone interested in the contribution of Liberals and Liberalism to British politics. Full price £15; 20% discount for Journal of Liberal History subscribers, see page 3 of the most recent issue of the Journal for the discount code to apply when ordering this item.